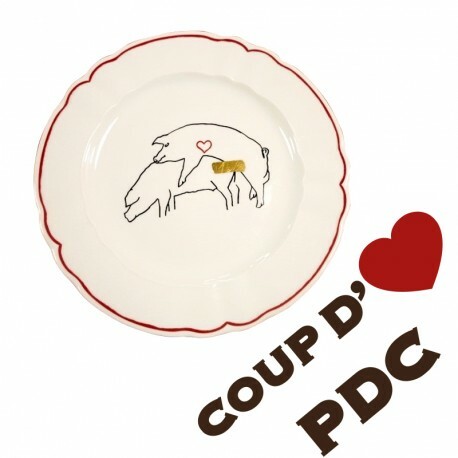 La Maison Bernardaud produces plates drawn by artist Marc Séguin close friend of Martin Picard. Gifted engraver and prolific painter, Marc Séguin's pieces are found in numerous canadian corporate collections and private collections in Quebec, Canada and the US. He has also been featured in many international exhibitions in Madrid, Barcelone, Venice, Berlin, Cologne, New York, Miami, Chicago, Brussels and Namur. Caution: do not put into dishwasher.